Over 300 players ended the year with a sporty feast as they entered Fylde Coast Futsal’s Festive Trophy at Blackpool Sport Centre. ddOver 300 footballers had a trophy at the top of their Christmas list as they entered Fylde Coast Futsal’s Festive Trophy at Blackpool Sport Centre. There were separate competitions for all age groups from under-7 to under-12, with players descending on Stanley Park from as far afield as Merseyside and West Yorkshire. The youngest players were in action first, with some of the teams playing futsal for the first time. The packed spectator areas and the musical accompaniment created a cracking party atmosphere as Poulton took the under-7s crown by winning all their matches. The Thornton Who team were the under-8 winners, also completing their matches undefeated. The under-9 event was very closely contested. Fleetwood Town Juniors, who had won the previous Armbro Futsal Trophy, were again in fine form, winning every game, including a thrilling final against St Annes. The spectators were treated to some fine futsal involving excellent technical players in the under-10 event. The final maintained the high standard as FY Wizards, a team assembled by Fylde Coast Futsal, won a close encounter with Lytham. YMCA dominated the under-11 competition, displaying great quality and scoring some wonderful goals. Special mention to the South Shore Youth and Polish FC teams, who applied themselves brilliantly in their first tournament. 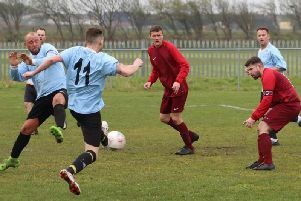 The best was saved until last as the Cammell Laird team from Birkenhead showed their class and understanding of the format to emerge with a 100 per cent record, though BJFF did their utmost to contain their high-quality attacks. Fylde Coast Futsal continues to offer coaching and competitions in 2018 and all enquiries about this fast-growing sport are welcomed by Michael Horsfall at Blackpoolfutsal@gmail.com or visit the Blackpool & Fylde Futsal page on Facebook.